Gardiner Liquid Mercantile has a Virtual Beerality Tour ‘18 with Adirondack, Chatham, Mill House & Twin Fork 6pm – 8pm! Albany Times Union hosts Craft Beer and Prime Cuisine — A Pairing Experience 6pm – 9pm! Beer World in New Windsor has an Adirondack, Chatham, Mill House & Twin Fork Tasting 4pm – 6pm! Pennings Farm Market in Warwick has The Gilded Growler Craft Beer Tasting Tournament 7pm – 9pm! Kuka- Andean Brewing Company in Blauvelt has a St.Patrick’s Day Party/People to People Benefit 1pm – 8pm! The Oath Craft Beer Sanctuary in Tarrytown has a Beer Dinner Series – Founders 7pm – 10pm! Birdsall House in Peekskill has a Stone IPA Madness Event 6pm – 9pm! DeCiccos & Sons in Larchmont has a Meet The Brewer Night with Crooked Stave 5pm – 9pm! PC’s Paddock Restaurant in Poughkeepsie has a Sloop Brewing Tap Takeover 5:30pm – 8pm! Broken Bow Brewery in Tuckahoe hosts the 4th Annual Springtime Kölsch Fest 6pm – 10pm! DeCiccos & Sons in Armonk has a Péché Mortel Day 12pm – 9pm! Newburgh Brewing Company has a Spring Forward – Drink BOCK event 11am – 9pm! Great Flats Brewing in Schenectady has their One Year Anniversary Party 12pm – 10pm! DeCiccos & Sons in Brewster has an Orval Day 12pm – 6pm! Delaware Supply in Albany has an Orval Day 12pm – 4pm! Keegan Ales in Kingston has a Homebrewing Kit Launch Party 7pm – 11pm! Paula’s Public House in Poughkeepsie has a Sloop Beer Dinner at 6pm! Schenectady Community College has an Artisanal Brew Works Beer Pairing Dinner 6pm – 9pm! 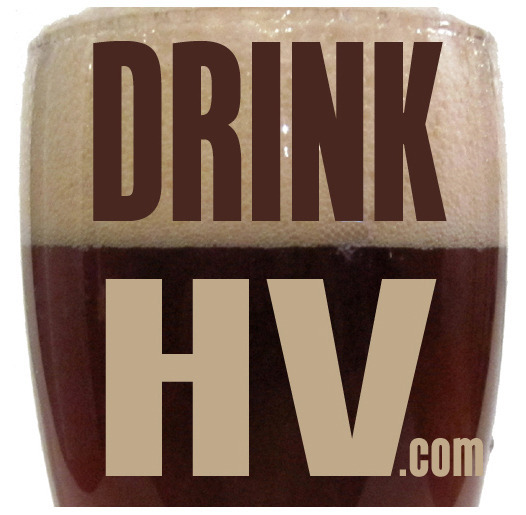 The City Beer Hall in Albany has a Hudson Valley Beer Dinner for ACBW event 6pm – 10pm! The City Beer Hall in Albany has a Brawl at the Hall! Sloop v. Equilibrium for ACBW event 7pm – 10pm! Mohonk Mountain House in New Paltz hosts the Brewmasters Weekend4pm – 12am! DeCiccos & Sons in Brewster has a Founders Tap Takeover 5pm – 10pm! The City Beer Hall in Albany has a LIC Beer Project Tap Takeover for ACBW 5pm – 12am! Mohonk Mountain House in New Paltz hosts the Brewmasters Weekend10am – 12am! Essie’s Restaurant in Poughkeepsie has a Newburgh Brewery Beer Dinner5:30pm – 9pm! Ron Black’s Beer Hall in White Plains has a Brooklyn Brewery Beer Dinner6pm – 9pm! 2 Way Brewing Company in Beacon has a Birthday Bash 6pm – 9pm! Essie’s Restaurant in Poughkeepsie has a Obercreek Brewery Beer Dinner 5:30pm – 9pm! Suffern’s Crafts & Drafts Street Fair 2018 is from 10am – 7pm! Great Life Brewing in Kingston has a Juicy Joy Release 5pm – 10pm! Hunter’s on Jay in Schenectady has a Battle of the Breweries at 6pm! Tilly’s Table in Brewster has their Beerfest 2018 3pm – 8pm! Essie’s Restaurant in Poughkeepsie has a Blue Collar Brewing Company Beer Dinner 5:30pm – 9pm! The TAP New York Craft Beer & Food Festival is at Hunter Mountain 2pm – 6pm! The TAP New York Craft Beer & Food Festival is at Hunter Mountain 12pm – 4pm! Essie’s Restaurant in Poughkeepsie has a Plan Bee Brewing Company Beer Dinner 5:30pm – 9pm! Essie’s Restaurant in Poughkeepsie has a Cousins Ale Works Brewing Company Beer Dinner 5:30pm – 9pm! Stormville Airport’s Food Truck and Craft Beer Festival 2018 is from 1pm – 5pm! Stormville Airport’s 1st Annual Homebrew Competition is from 4:30pm – 6:30pm!